Private power producer JSW Energy reported a multi-fold rise in its consolidated net profit at Rs 147.08 crore owing to better operational performance. However, the company’s comprehensive income for the period took a hit due to mark to market losses related to group company holdings. The company has also revised its plans for electric vehicle manufacturing, where it will now focus on electric passenger vehicles. The company added plans for electric commercial vehicles and battery manufacturing will not be pursued as of now. For the December 2018 quarter, JSW Energy reported a consolidated net profit of Rs 147.08 crore, significantly higher from Rs 50.55 crore in the same period a year ago. Total income for the quarter under review was at Rs 2,491.79 crore, against Rs 2,081.14 crore in the same period a year ago. Prashant Jain, joint managing director and chief executive officer for the company, said demand for power has been on a rise and is expected to grow in the coming quarters. “This kind of power demand growth we have seen after a long time and it has also reflected in the higher plant load factor for the industry; the thermal PLF for the industry has gone up two per cent year-on-year. JSW Energy saw after three years saw PLF rising to 92.8 per cent at Vijaynagar and 95.5 per cent at Ratnagiri. Merchant tariff during the quarter was also very good,” he said. For the quarter under review, the company reported a total comprehensive loss of Rs 328.55 crore at the consolidated level. Company officials attributed the loss to a mark to market (MTM) loss owing to JSW Energy’s shareholding in group company JSW Steel in the December 2018 ended quarter. On its plans for electric vehicle manufacturing, JSW Energy expects to make a further announcement before March this year. The timeline for the new venture has been set at three to four years with an envisaged investment of Rs 6,500 crore. The management said the possibility for a product launch by the year 2020 remains. The management said it will focus on manufacturing electric passenger vehicles and does not intend to look at battery manufacturing, energy storage and electric commercial vehicles at the moment. “We do not wish to spread ourselves thin. We will collaborate for battery charging,” he added. The company has also shelved its plans to expand its solar capacity, officials stated fierce competition and lower returns make it unviable. In addition to its electric vehicle plans, the company said it was open to more acquisitions in the power sector, including the ones on offer under the Scheme of Asset Management and Debt Change Structure (SAMADHAN) route. “JSW is keen in participating in some of the future cases. The industry will be consolidating in the next twelve months’ time,” Jain added. As of December 2018, the company’s net debt was at Rs 10,686 crore and company officials added there is ample room for future acquisition in terms of leverage. 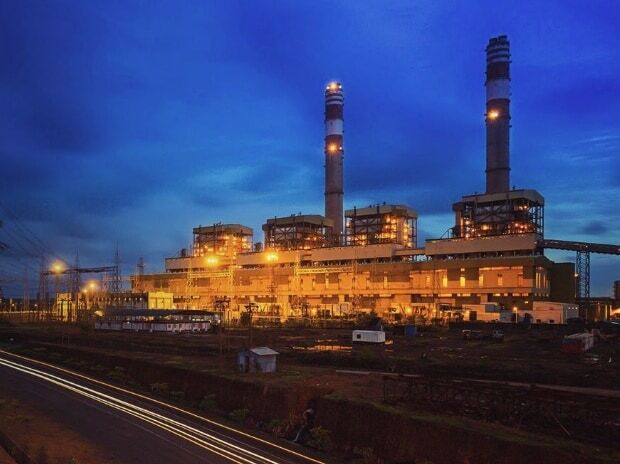 Part of its acquisition plans, JSW Energy also signed an agreement with Jindal Steel and Power (JSPL) in 2016 to acquire its Chattisgarh power plant. Part of the agreement, the company was also to extend a soft loan to JSPL of about Rs 500 crore. “The agreement has a long stop date in June this year. We have an outstanding loan of Rs 381 crore to JSPL. The likelihood of this transaction happening does not look bright,” said Jyoti Kumar Agarwal, director-finance for the company. He added, in the event of the deal falling off, the outstanding loan will be repaid.